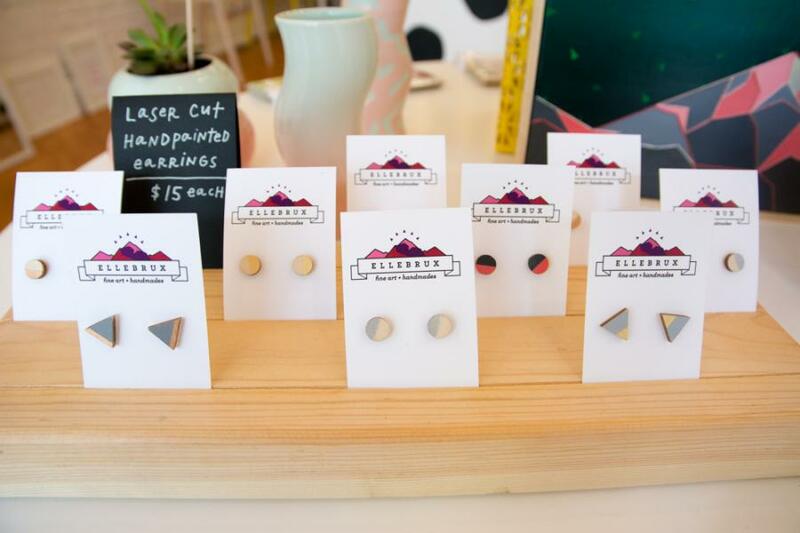 “We used to say screw design, we’re going to open a shop and sell cute stuff,” says Handzy co-founder Brittney Braemer. 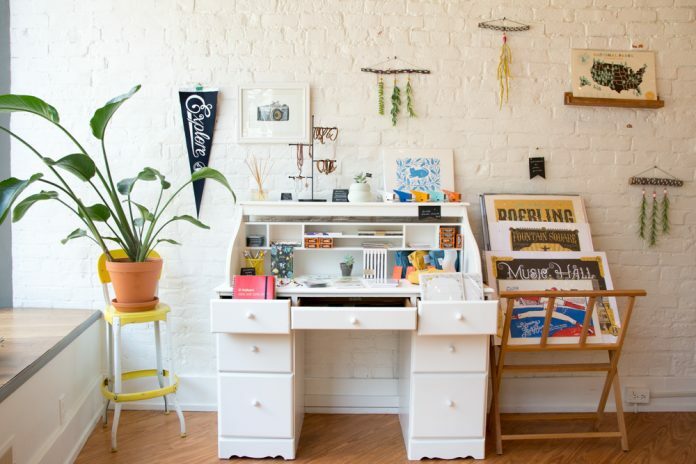 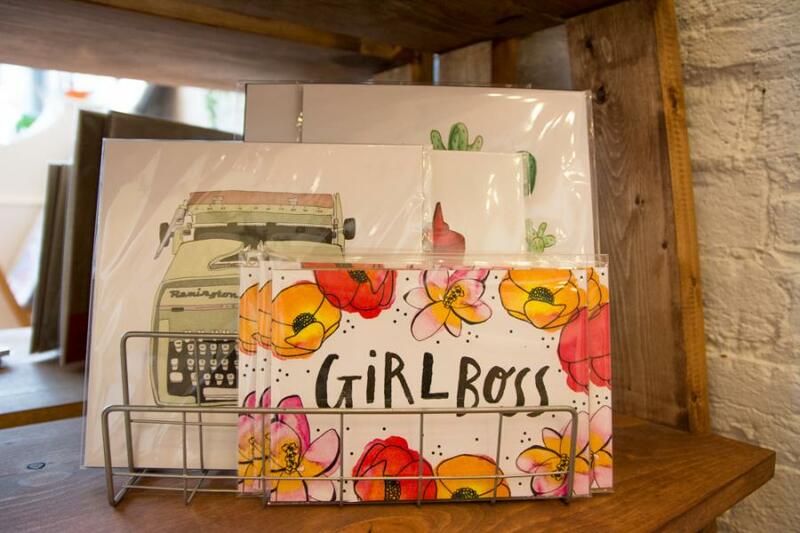 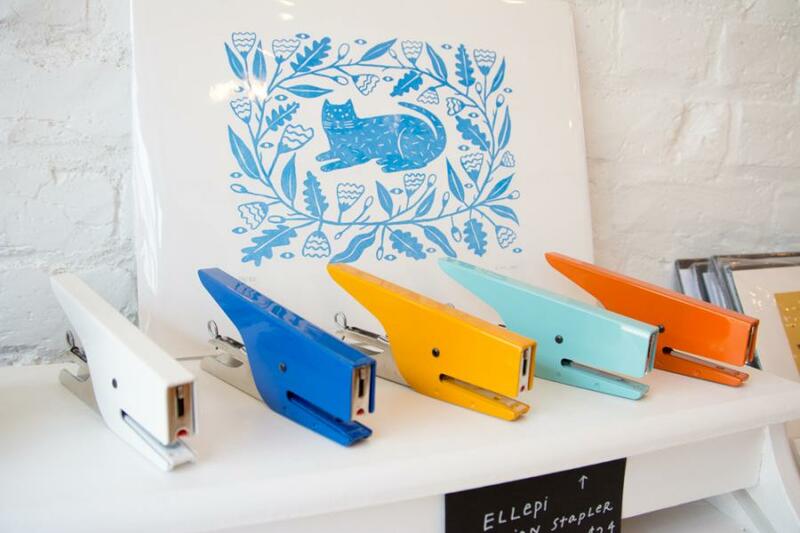 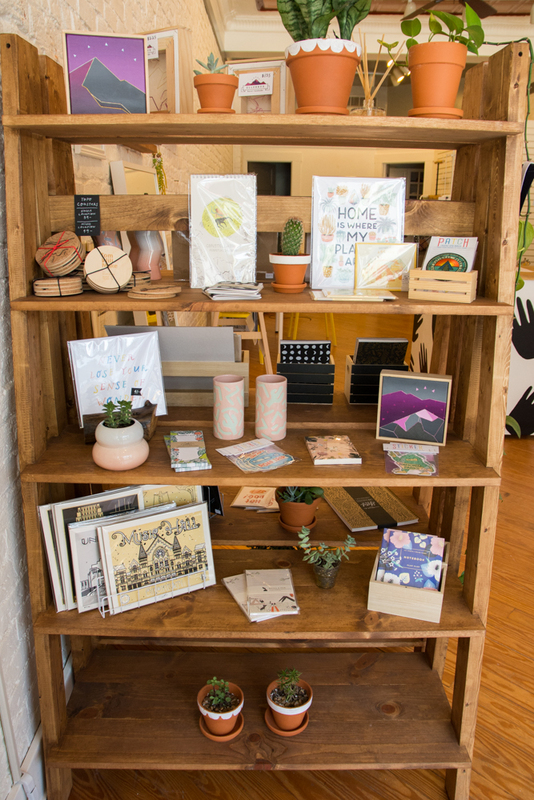 But Handzy turns out to be both design studio and a retail storefront with a highly curated array of locally made cards, art, and jewelry as well as a whole bunch of covetable desk supplies. Braemer and Suzy Strachan, best friends and DAAP graduates, opened the shop in July on West Pike Street in a rapidly developing section of Covington. 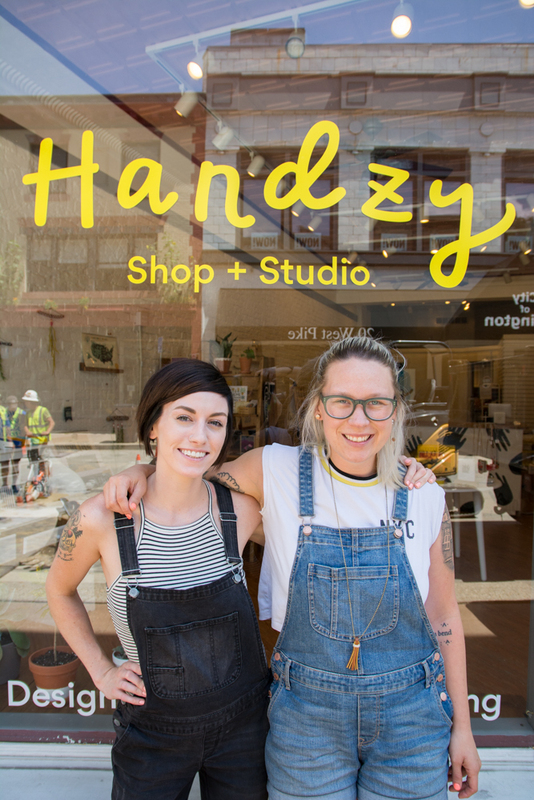 The back of the store is devoted to Handzy’s design business; it’s where Braemer and Strachan create wedding stationery and branding for local companies like Frameri Eyewear, Eli’s BBQ, Saundra’s Kitchen and Fireside Pizza. 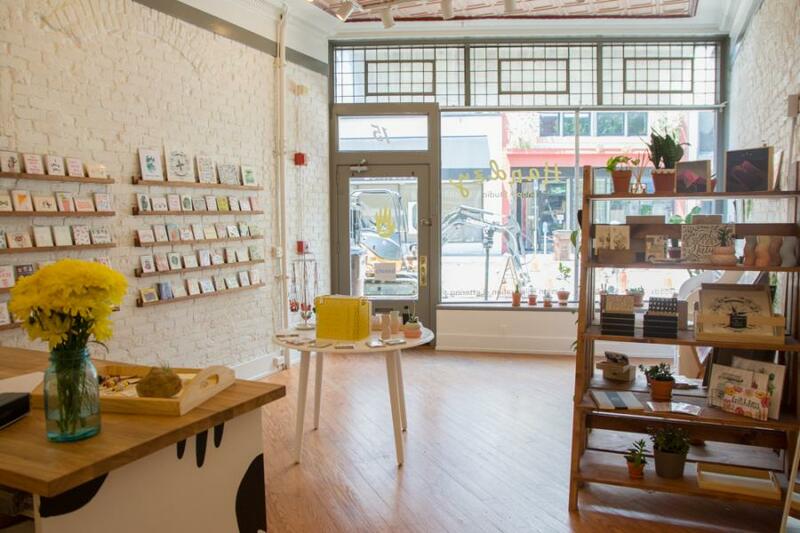 Up front (just inside Handzy’s sunny yellow door) is where you’ll find a rotating selection of fun jewelry like the painted wood pieces by ellebrux and jillmakes, Handzy’s own cheery, colorful greeting cards, James Billiter’s screen prints of local landmarks like Music Hall and the Roebling Bridge as well as Delfonics wood pens from Japan, bright Italian staplers, and other paper goods like calendars and gridded notebooks. 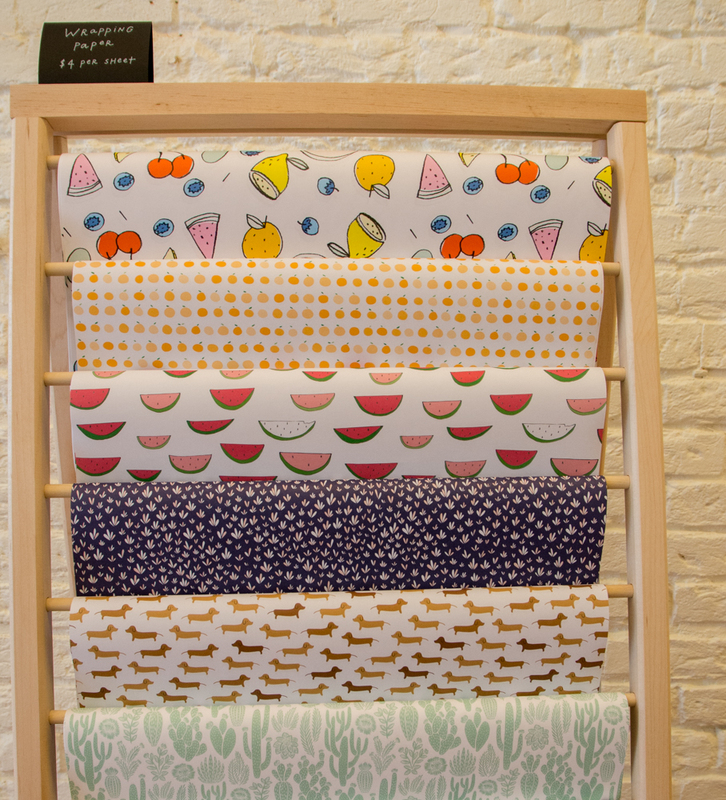 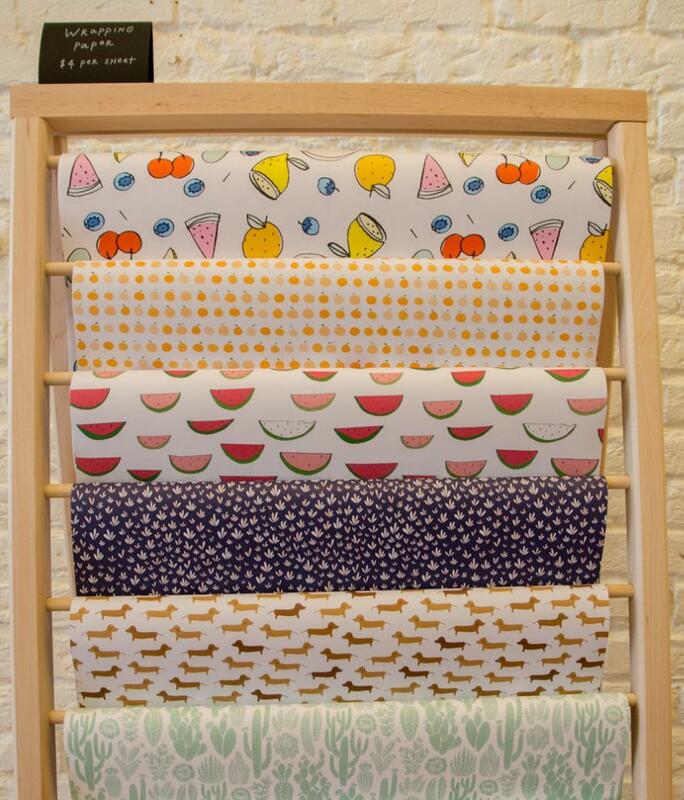 “As designers we wanted to carry some specialty items, but didn’t want them to be too cutesy or girly,” says Braemer.